I was watching an old movie last night, not an unusual thing for me to be doing. The film was "Robin Hood", the 1938 version with Errol Flynn and Olivia DeHavilland. Of all the versions of this film, this is my favorite. The seeming spontaneity of the acting, along with the lively banter and the plethora of fine character actors, has always made this film a joy to watch. The tale is familiar and the plot fairly simple. And there is also the simplified version of history that has it's own attraction for me. I was pleasantly surprised this morning to learn that Ms. DeHavilland is still with us, alive and well, living in Paris. She has lived there since the 1950's when she was married to Paris Match editor Pierre Galante in 1955. Though the couple divorced in 1979, she remained in Paris and on close terms with Mr. Galante, even nursing him through his final days of illness in 1998. Her high mark in the movies, at least for me, is her stark portrayal of a woman dealing with mental illness in the 1948 classic "The Snake Pit." If you have never seen that film, well, you should. So this is just a shout out to Ms. DeHavilland on the occassion of her 94th birthday. Thanks for the films, which will be with us always, providing entertainment to yet another generation of film enthusiasts. 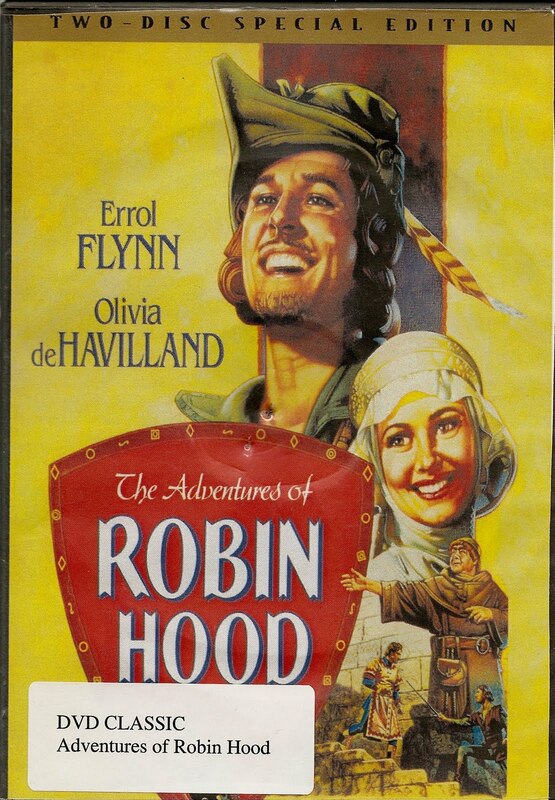 Happy Birthday to you, Maid Marian.